Europe has changed greatly in the last century. Political, social, and ideological transformations have not only redrawn the map of the continent but have rewoven the fabric of its culture. These changes have nourished widespread reassessment in European historical research: in terms of its presuppositions, its methodologies, its directions, its emphases, and its scope. The political boundaries between nations and states, along with the very concepts of 'nation' and 'boundary', have changed significantly, and the self-consciousness of ethnic minorities has likewise evolved in new directions. All these developments have affected how the Jews of Europe perceive themselves, and they help to shape the prism through which historians view the Jewish past. This volume looks at the Jewish past in the spirit of this reassessment. Part I reconsiders the basic parameters of the subject as well as some of its fundamental concepts, suggesting new assumptions and perspectives from which to conduct future studies of European Jewish history. Topics covered here include periodization and the definition of geographical borders, antisemitism, gender and the history of Jewish women, and notions of assimilation. Part II is devoted to articulating the meaning of 'modernity' in the history of European Jewry and demarcating key stages in its crystallization. Contributors here reflect on the defining characteristics of a distinct early modern period in European Jewish history, the Reformation and the Jews, and the fundamental features of the Jewish experience in modern times. Parts III and IV present two scholarly conversations as case studies for the application of the critical and programmatic categories considered thus far: the complex web of relationships between Jews, Christians, and Jewish converts to Christianity (Conversos, New Christians, Marranos) in fifteenth-century Spain; and the impact of American Jewry on Jewish life in Europe in the twentieth century, at a time when the dominant trend was one of migration from Europe to the Americas. 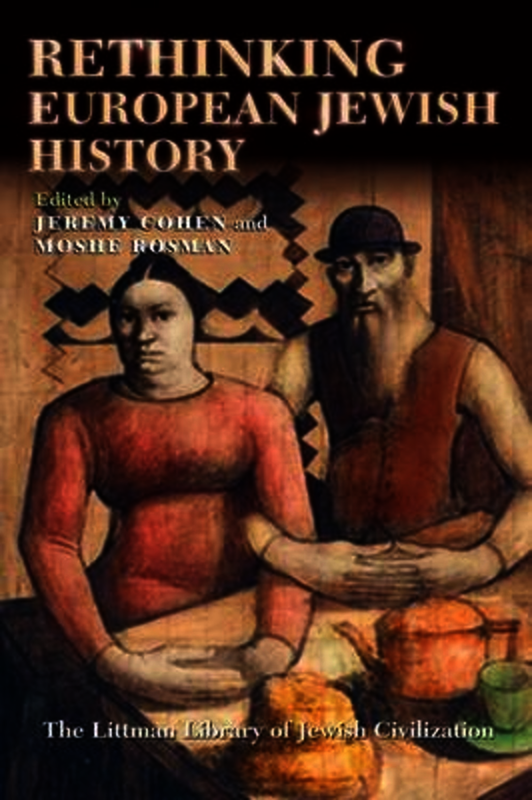 This timely volume suggests a new framework for the study of Jewish history and helps to contextualize it within the mainstream of historical scholarship. Jeremy Cohen holds the Abraham and Edita Spiegel Family Foundation Chair for European Jewish History at Tel Aviv University, where he served as Director of the Goldstein-Goren Diaspora Research Center between 2002 and 2005. A specialist in the history of Jewish–Christian relations and three times a winner of the National Jewish Book Award, his various publications include The Friars and the Jews: The Evolution of Medieval Anti-Judaism (1982); Living Letters of the Law: Ideas of the Jew in Medieval Christianity (1999); and Christ Killers: The Jews and the Passion from the Bible to the Big Screen (2007). Moshe Rosman is Professor of Jewish History at Bar-Ilan University in Israel. He has been a Fulbright-IREX fellow, a fellow of the Hebrew University's Institute for Advanced Studies and the University of Pennsylvania's Katz Center for Advanced Judaic Studies, winner of the National Jewish Book Award (1996, 2009), the Zalman Shazar Prize (2000), the Jerzy Milewski Award (2000), and the Jordan Schnitzer Award (2010), and visiting professor at Yale and other universities. His books include The Lords' Jews: Jews and Magnates in the Polish-Lithuanian Commonwealth. He is one of the principal authors of A New History of Hasidism.